Keep your smartphone powered on the go. There are plenty of options for keeping your phone or tablet charged while on the go. We’ve already taken a look at portable USB battery packs, as well as the USB-C variety. Now were ready to take a look at car chargers. These small devices don’t differ from each other all that much. Some have an indicator light, others have illuminated ports. Some feature Quick Charge for devices that support it, others don’t. 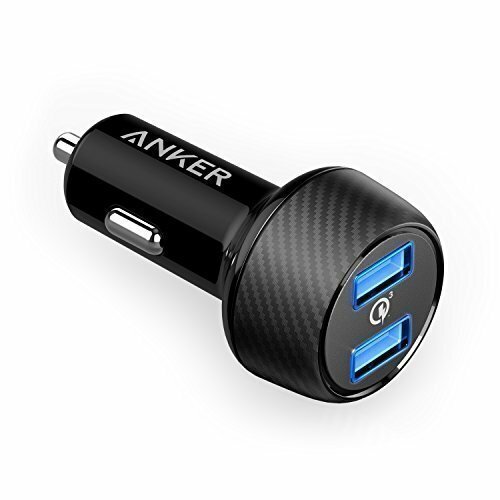 One attribute they all share, however, is two USB ports—i.e., the days of the single-port car charger are long over. Anker's PowerDrive Speed 2 offers two illuminated QC3.0 ports for easy phone charging on the road. 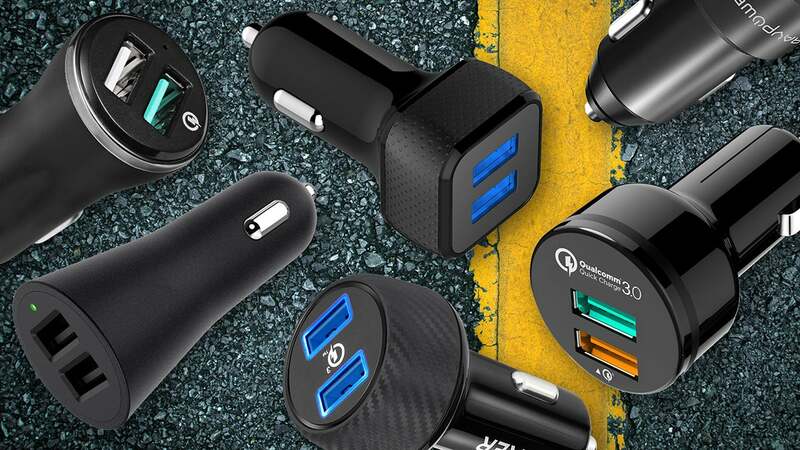 Determining whether a car charger lives up to its promise entails more than connecting it to a phone and charging. Testing requires special equipment to measure output and verify stated performance claims. Testing began by plugging each car charger into the same port in a Honda Civic. 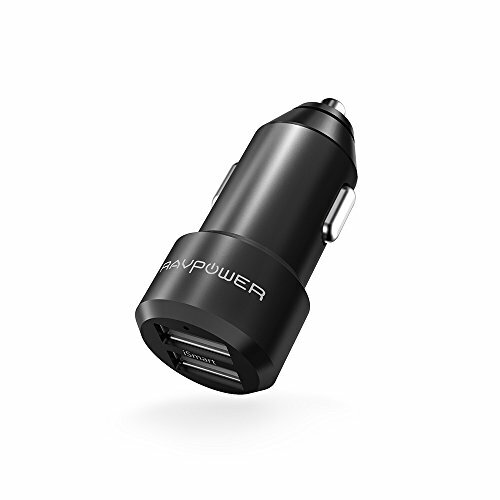 Then a PortaPow USB Power Monitor was plugged into a given car charger, with a USB-A-to-USB-C or Apple Lightning connecting the PortaPow USB Power Monitor to either a Samsung Galaxy S8 or an iPhone X. With the display off on each phone, we monitored the charger’s output. The PortaPow allows us to see the volts and amps output of a car charger. We repeated the test for each port on a car charger and recorded the results. All of our tests were conducted using the same car charging port on a 2015 Honda Civic. The same charging cables were also use for each test. This was done to eliminate variables that could impact the results. Without fancy testing equipment, it can be hard to gauge whether you’re getting what you paid for. Vendors, especially in Amazon listings, like to throw around a lot of terms and certifications. 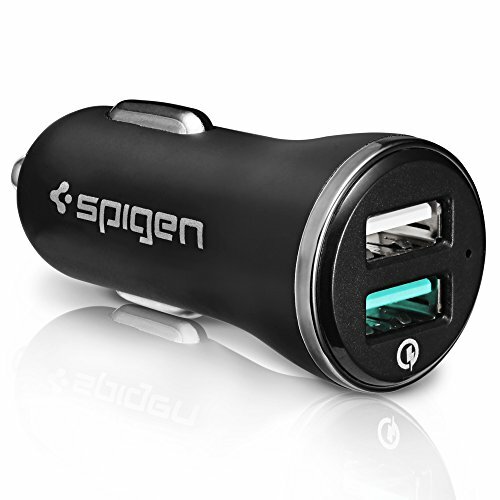 For those with a Quick Charge 2.0-, 3.0-, or PD-compatible device, make sure the car charger is certified for that spec. This can make a big difference in the time it takes to charge your device. And if you’re just driving across town, the faster your phone charges, the better. If you own a QC 2.0 device, however, ask yourself if paying extra for a QC 3.0-capable charger is worth it. Click on the links below to read full reviews of all the chargers we tested for this roundup. We will continue to update this page as we review more chargers. Despite its size and the lack of any light for finding its ports in the dark, this QC3.0-compatible charger is a solid option. This isn't a fast-charger, per se, but it offers decent power and comes with cable. This charger does its job, but the opposite orientation of its two ports is unusual and annoying.